News | Rhys Williams | Published: 15:18, Tuesday January 15th, 2019. 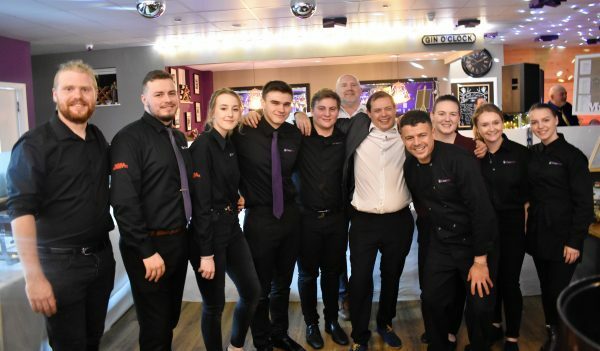 The owner of Casa Mia restaurant in Caerphilly town centre has urged local businesses to join the Caerphilly Tourism Association (CTA). The CTA aims to improve and promote tourism within Caerphilly County Borough and has more than 60 members, including hotels, visitor attractions, restaurants, pubs, cafes and more. Members of the CTA receive benefits such as free or subsidised training, media opportunities, PR support and the chance to promote their business at events. Lee Edwards, owner of Casa Mia and Chair of Caerphilly Tourism Association said: “As a businesses located within the town centre of Caerphilly it is vital for us to be part of the tourism association. We need to work together as a leisure and hospitality industry to ensure visitors to the area have a wonderful time, visiting attractions, eating out, and staying in our local accommodation. The group recently held its Annual General Meeting (AGM) at Llechwen Hall near Nelson. For more information on how to join the CTA visit to www.visitcaerphilly.com.